It’s not heaven…but it’s close. 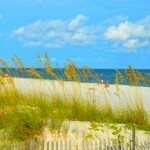 Gulf Shores is known as a fantastic spot for a beach vacation in Alabama, and the weather has a lot to do with that. Boasting sun-soaked summers and warm winters, Gulf Shores is a cool coastal community that offers vacation fun virtually year-round. Nobody takes a vacation just to be cooped up inside trying to stay warm. Fortunately, the subtropical climate of the Alabama Gulf Coast offers a warm season that lasts much of the year. In fact, average temperatures are in the 70s or higher from May through October, and the bookend months of April and November check in at a very pleasant average in the mid-60s. Sea breezes and beach umbrellas make even the hot summer days in Gulf Shores relatively mild. Expect temps a little below 90 during peak summer. 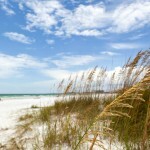 For beachgoers looking to work on their tan, a Gulf Shores vacation is ideal. Tropical sea breezes help to keep the temperatures down by providing natural air conditioning. And along the Gulf Coast of Alabama, the breezes are blowing pretty much constantly. Even in the peak months of July and August, the average high temperature is still a notch or two below 90 degrees, thanks in part to those breezes, so bring along your flip-flops and some sun block and you’ll be set for some sensational surf and sand from Spring through Fall. Oh, and the nights are even more enjoyable with mild low temperatures in the upper-60s and 70s. While beach umbrellas are used for blocking the sun, a traditional umbrella will come in handy during the hotter months of June through September. With the warmer temperatures in the mid-80s to low 90s, the summer sun has a way of popping up stray thundershowers along the coastal communities of the Gulf of Mexico. The simple truth is that there will be a shower somewhere along the Gulf Coast every day. The good news is that these completely random rain events are typically over quite fast. In most cases, you’ll see a cloud build-up, rain and then a return to sunshine within 15 to 30 minutes. So, the old adage of “if you don’t like the weather, just wait 10 minutes” truly applies here. 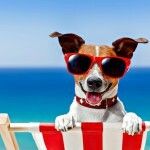 Most just pack up their beach gear and take a momentary break under cover until the weather passes. The wettest month is July, with an average monthly rainfall of 7.2 inches. With all that said, consider that the average number of cloudy days per month is four, and you’ll quickly realize that sunshine easily rules most every day here – even if there is a spot shower in your area. Water temperatures in Gulf Shores reach a high of mid-80s in July and August. 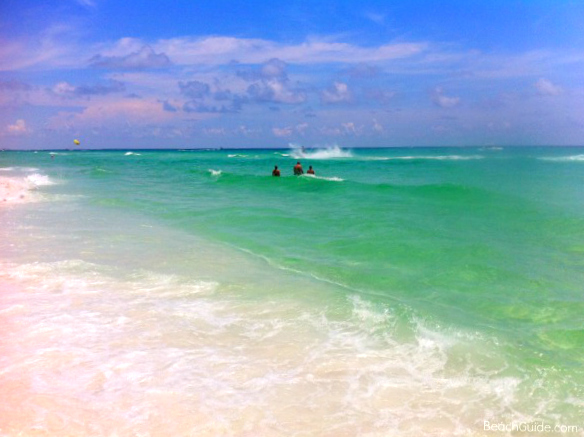 Swimming in the Gulf is fabulous through September and into October. Even in winter the lows are in the 50s. You will see a few people in the Gulf year- round depending on the weather. Heading to the beach with taking a dip in the amazing Caribbean-colored waters of the Gulf of Mexico in mind? Well, come any time from March through November and enjoy water temperatures that are refreshing and comfortable. While most think of the peak of summer for playing in the water, the temperature of the Gulf waters near the coastline begins heating up to mid-60s as early as March before hitting its peak of mid-80s in July and August. October and November still offer water temps in the mid-70s and mid-60s, so you can even plan around the more populated summer months and still enjoy the treasure that is the Alabama Gulf Coast. Fun fact: The longest day of the year in Gulf Shores is June 20, which has 14 hours and 7 minutes of daylight. So there’s your target day of maximum fun in the sun! 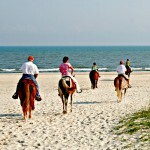 Heading to Gulf Shores during winter? Find a resort with an outside heated pool and hot tub, and with a little luck you’ll be relaxing in sunshine even during December and January. Being situated in a subtropical zone means that outdoor activities are possible year-round here in Gulf Shores, Alabama. Golfing and fishing are done practically every month here. The water temp will rarely dip below the mid-50s, and November through February are the only months when most visitors will stay on dry land. However, for snow birds — visitors from cold-based locations — this place is like an oasis in Winter and Spring! Winter can be a mixed bag, with high temperatures dipping into the 40s or even the 30s on rare occasions…but the overwhelming majority of winter days see temps in the 50s or 60s. Cold fronts that pass through here never last more than two or three days before the mild weather pattern is restored, so if you stay a week you are all-but-guaranteed to enjoy some mild winter weather. In fact, snow birds walking the beaches in shorts and tees are a common sight on most Winter days. And, at night it is usually mild enough for a nice walk at the water’s edge via moonlight. Many Gulf Shores vacation rentals have heated indoor or outdoor pools and hot tubs, so sitting by the pool or taking a dip on a pleasant sunny day in December or January is heavenly. There’s already plenty to keep track of when planning a vacation, so don’t let the weather be one of them. 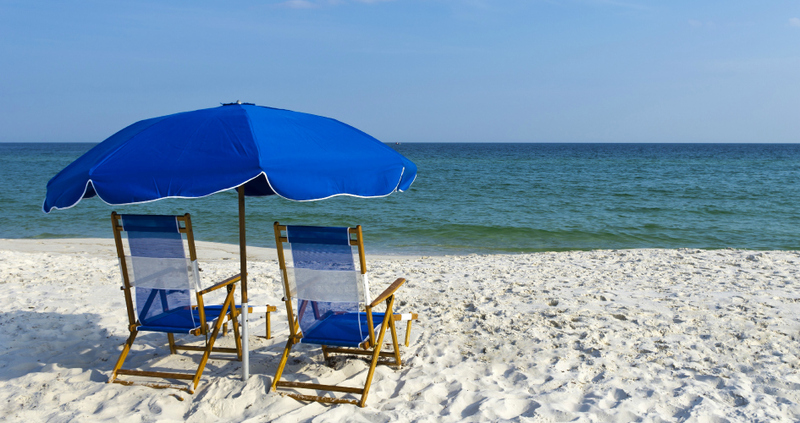 Book a beach vacation to Alabama…and then kick back, relax, and enjoy the Gulf Shores weather. 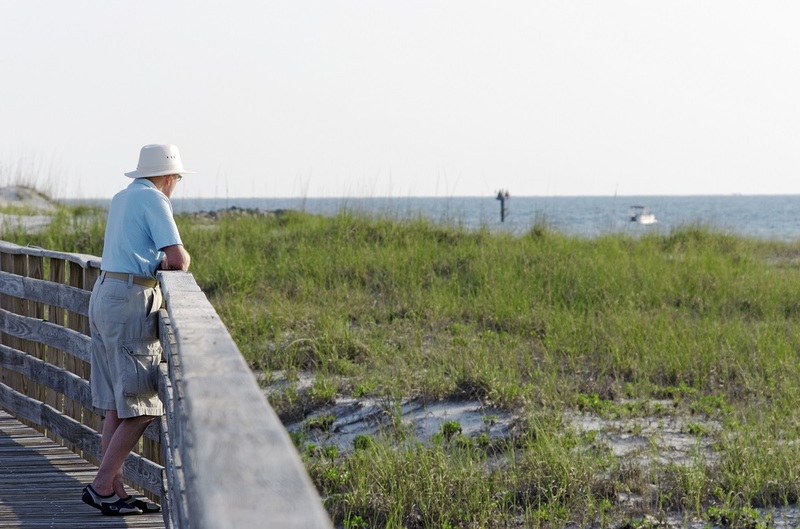 Whether your plan is to cool off in the Summer or warm up during the Winter, this Alabama beach destination is a treasure trove of outdoor enjoyment, thanks to its fantastic weather. 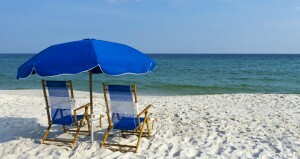 Many Gulf Shores resorts offer “snowbird” specials during winter months. Low monthly rates and mild weather makes this area a favorite winter destination.